Based in Alton, New Hampshire and now Portland Maine, Mark Patterson is an Independent licensed Investment Advisor (RIA) offering comprehensive financial planning and asset management services to individuals and families approaching retirement in New Hampshire and Maine. Upon facing retirement, many individuals and families are looking for a financial advisor who can help them develop a comprehensive retirement strategy, from managing investments to building a predictable and consistent income strategy. Mark seeks to offer New Hampshire and Maine based individuals and families assistance in these areas and help them pursue their financial goals. Mark understands that the financial world of retirement can be complicated and confusing. With more than 24 years of experience in the financial services industry, as well as a Master of Business Administration in Finance, he is committed to working together with clients and helping them navigate retirement and financial complexities with a holistic planning approach. 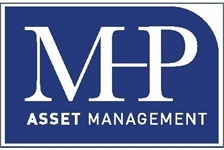 Advisory services offered through MHP Asset Management LLC, a New Hampshire registered investment advisor.